When single father Danny Goodman suddenly finds himself unable to afford the private school his teenage daughter adores, he has no one to turn to for financial support. As Danny begins to lie to everyone in his life, including those he loves most in the world, he must decide once and for all who the real enemy is or risk losing everything—and everyone—that matters to him. 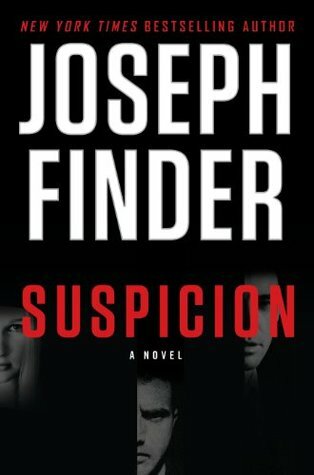 This is my first book by Joseph Finder but it definitely won’t be my last. I have wanted to read his books for some time so when NetGalley offered this book I jumped at it. The author quickly engages the reader into Danny’s life as he stretched to his limits with no help in sight until he meets the father of his daughter’s new best friend. When the man offers him a loan and he accepts things start to careen out of control. I couldn’t have put down this book if I wanted to. The author proceeds to take us on a wild ride without giving us much time to catch our breath. My heart was just pounding as the pages kept turning. Danny’s relationship with his daughter, Abby, was a struggle in itself. She had lost her mother and feels betrayed that the true story of her mother’s illness was kept from her. Danny tries to keep things as normal as possible including continuing her education as this pricey school. While I felt for Abby I was also disappointed in her. She knew money was tight, yet she tried to pull off the little rich girl persona with her friend Jenna. She spent so much time at Jenna’s and never would think of inviting Jenna to her home as that would bring out her lies. Her character was really fleshed out but it was really hard to like her and made me feel even more compassion for Danny. There are some crazy twists in this thriller that really turned the story on its ear. One had me saying “Oh My God”! That being said I can truly understand why Finder’s stories are being made into movies. This story would make a great movie! If you like the mysteries of Harlan Coben you will love Suspicion. I will be adding the rest of Joseph Finder’s book to my wish list right away!! Find out more about Joseph Finder and his books on his webpage here.